This summer, I made a food. I’ll try to keep my foods as recent as possible so that you feel as though you have up-to-the-minute recipes and reactions. However, I started writing a food blog post-summer. So I present to you, a retrospective. And I feel as though this exception is worth it, because this coffee cake is EXCEPTIONAL. And all thanks to a very special lady who had to endure a painful summer healing after foot surgery. Do you realize all that you need BOTH feet for? You cannot just let one take a vacation and heal without serious consequence. 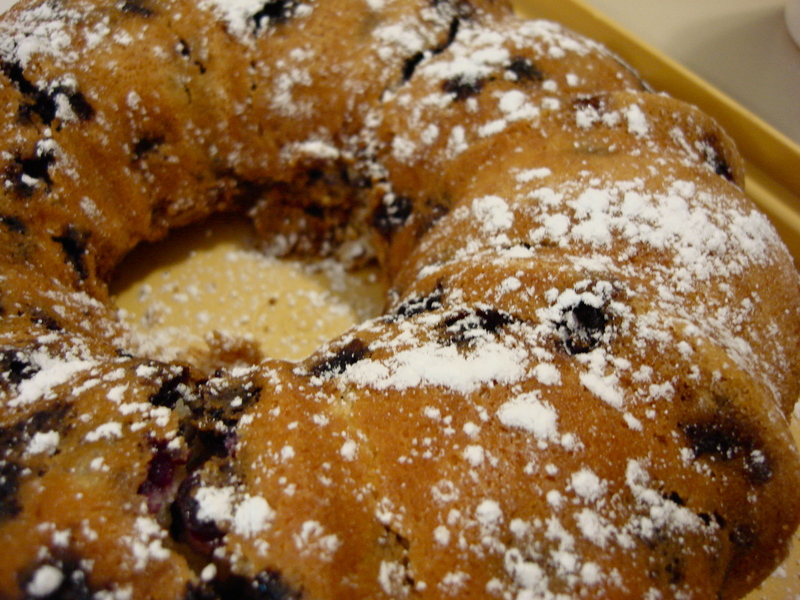 I made this coffee cake for her, but I enjoyed it. A lot. Almost enough to make it seem as though I had made it just for me. Preheat oven to 350 degrees F. In a small bowl, combine sugar, pecans, and cinnamon, then set aside. 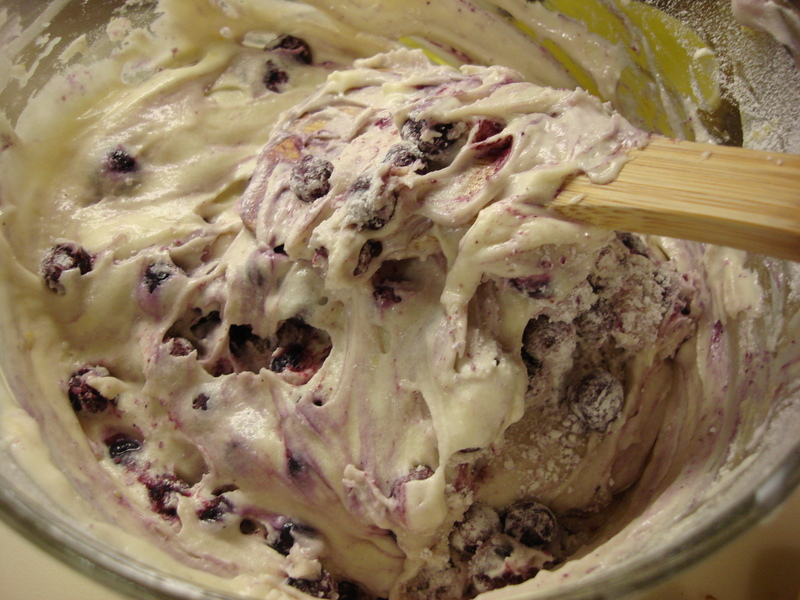 In a second small bowl, combine blueberries with 2 T flour. This will allow the blueberries to float in the batter while it cooks instead of sinking to the bottom like a swimmer’s floatie. In the third small bowl, stir the rest of the flour, salt, and baking powder; set aside. 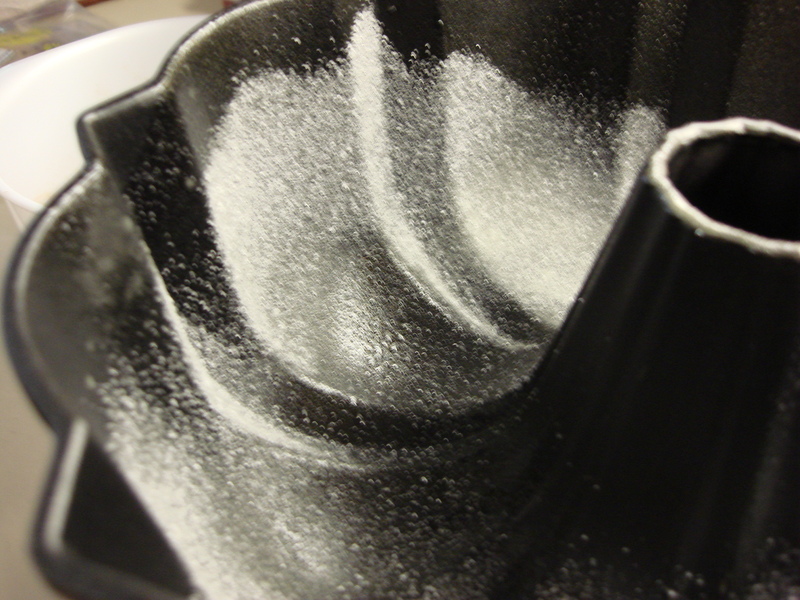 Grease and dust (with granulated sugar) a 9-inch fluted or tube pan. In a mixing bowl, cream sugar and butter. Add lemon zest, then add the eggs one at a time. Beat in the sour cream and vanilla extract. Mix well. Add half the flour mixture, mix, repeat. Beat until combined. Beat for an additional 30 seconds. Then, fold in the blueberries. Gently. Spread half the batter in the pan. Sprinkle half the brown sugar mixture. Swirl the brown sugar mix with a knife or small spatula. Pour second half then top with the remaining brown sugar mixture. 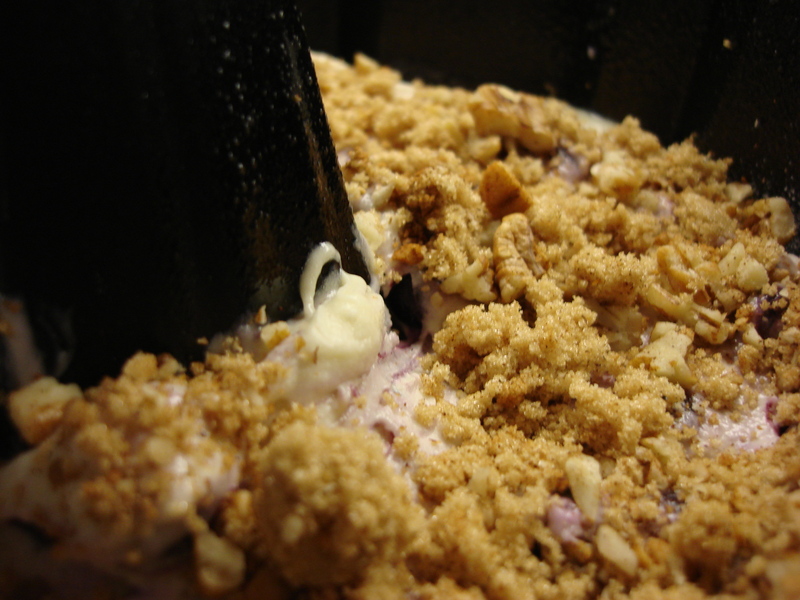 Cook for about an hour or until the coffee cake can pass the doneness toothpick test (or DTT). Allow it to cool in the pan for 20 to 30 minutes. Then run a knife around the edge, carefully separating any renegade blueberries that might have stuck to the sides of the pan. Invert the cake onto the serving platter. Just before serving, sprinkle (generously) with confectioner’s sugar.